Are you looking for a job you can do online? There are more opportunities than ever before for both freelance and permanent remote workers. 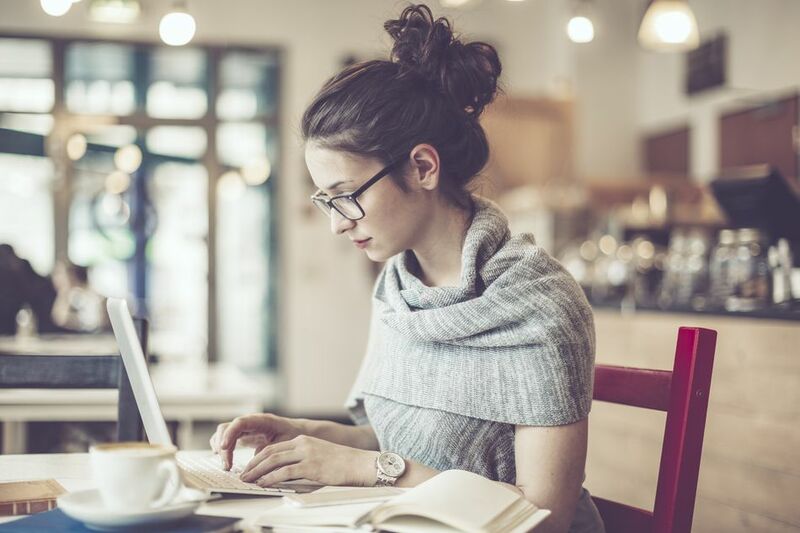 Finding work at home employment isn't always easy because there are scams that you'll need to avoid, but if you dedicate the time to check out potential employers, you'll find many online employment opportunities in a variety of occupations and career fields. Here's how to find work at home employment, the best jobs to work online, full-time and part-time remote work, side jobs to earn extra income, and how to research work at home jobs to make sure they are legitimate and avoid scams. Are you ready to start a search for an online position? Here's how to get started looking for jobs you can work online. These insider's tips will help you find the best online job opportunities, show you where and how to look for well-paid remote jobs you can do on your schedule and work from wherever you want, and provide advice on how to search smartly and get hired. Review how to find work at home jobs, including the top companies that hire employees to work from home, work at home job search advice and tips, and the best ways to look for online employment. Also, check out. Should You Pay a Fee to Get Hired? There's a very simple rule when it comes to looking for work at home jobs. Don't pay a fee - for anything. In most cases, you shouldn't pay for job listings, you shouldn't pay to apply for jobs, and you shouldn't pay a fee to get on the payroll. Companies pay you a salary. You don't pay them to hire you. Here's more information on no fee work at home jobs. Are you concerned about getting scammed? There are legitimate work from home jobs available. However, before you apply, it's important to carefully research the company to make sure the job is legitimate and not a scam designed to take your money or your personal information. Here's how to make sure a work from home job is legitimate. Keep in mind that the skills needed for home employment are similar to those needed for working in a traditional workplace. You need both the experience and the skills necessary to do the job. You may also need a home office or access to a shared work space with a phone, fax, computer, printer, software, and other basic office equipment. It can sometimes be hard to tell the difference between a legitimate job and a scam. There are even scams that involve recruiters contacting candidates by email or instant message. The person who tells you they have the perfect job for you, might - or might not - be a scammer. Here's how to carefully review all the job listings that come across your computer screen. Tip: Check out these scam warning signs to learn what to watch for. It's as important to prepare for a work at home job interview as it is to prepare for an interview for a job where you will be working on-site. Before your interview, review work at home interview tips, the types of job interviews you may participate in, what to wear to an in-person job interview if you need to attend one, and examples of interview questions and answers. Do you need inspiration? Not sure what you could be doing? From social media promotion to ghostwriting, from editing to customer service, and a myriad of other options, you might be surprised how many different types of jobs are available on a remote basis. In fact, many jobs that were traditionally done in an office are increasingly being done by remote employees or ​contractors working off-site. Besides working online, there are other opportunities to earn extra cash. Some of these are online jobs; others involve working on-site all or some of the time. They all provide a way to increase your earning potential, and a way to have more flexibility while you work.